Keep your drone from being grounded with these 2" Propellers for Torrent 110 FPV BNF Racing Drone from BLADE. 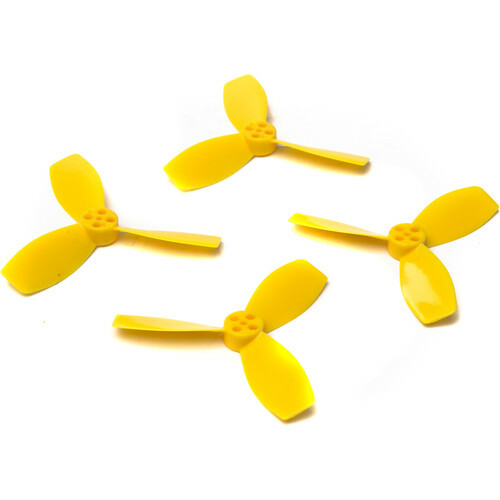 These are a 4-pack of replacement props that are specifically designed for the Torrent 110 racing drone. There's enough here to completely replace the props on all four motors. Propellers are an oft-damaged component of a drone, especially a racing drone designed for beginners, such as the Torrent 110. With these propellers in your toolkit, you can be prepared for when the inevitable happens. Box Dimensions (LxWxH) 3.8 x 2.0 x 0.5"